Assembly instructions for your particulate matter sensor. The assembly is designed in such a way that everyone can take part. With only 7 discs and 2 cable ties, the kit becomes a measuring station. Really simple! You do not have to program, don’t worry! We already programmed the firmware. You only have to installed it on the NodeMCU (ESP8288). Managable for computer beginners. 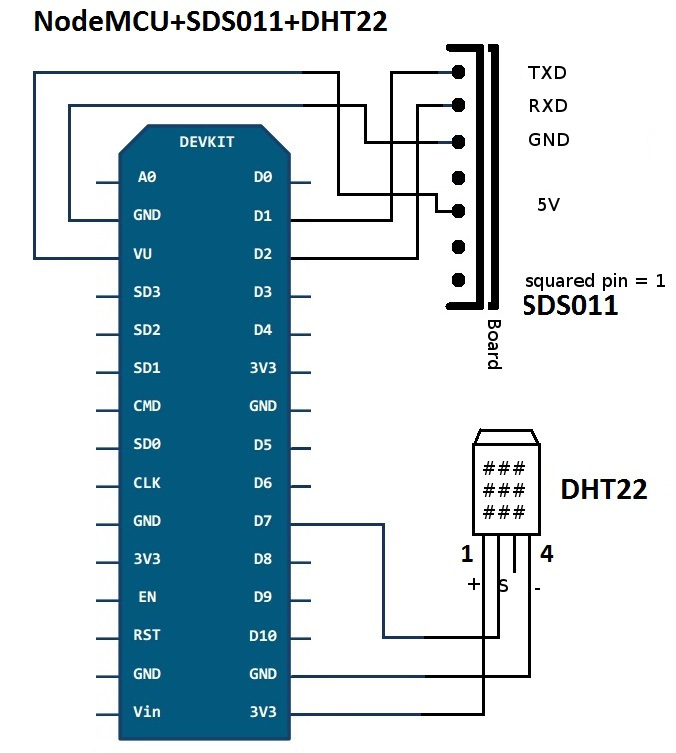 To communicate with the ESP8266, you need usb2serial drivers. The chipset is CH341 for NocdeMCUs: website of the manufacturer (chinese). Having problems please look in the FAQ’s. There is a video tutorial (german). Connect the NodeMCU with your computer. If possible, connect a USB2.0 cable to a USB2.0 port, as the NodeMCU can be used e.g. otherwise may not be recognized under Windows. Attention: When copying the firmware to the NodeMCU, use a USB cable not more than 1m in length. The appropriate port can be found, for example, by connecting the NodeMCU to the desired port (see note above) and then starting the Arduino IDE. Under, Tools -> Port ‘are the available port to see, usually quite easily the port with the NodeMCU recognizable. Or select a port and then run Tools – Get Board Information. If the correct port is selected, codes will appear at VID and PID. Close the IDE afterwards, otherwise this port is blocked. In case of problems you should try to execute the above command as root. Then in the path, ~ / ‘must be replaced by the home directory. The appropriate port can be found, for example, by connecting the NodeMCU to the desired port (see note above) and then starting the Arduino IDE. Under, Tools -> Port ‘are the available port to see. Select a port and then run Tools -> Get Board Information. If the correct port is selected, codes will appear at VID and PID. Close the IDE afterwards, otherwise this port is blocked. 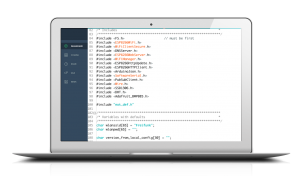 Don‘t worry: you don’t have to program! You just have to install the firmware, everything is already prepared for you. Before assembling install the firmware! 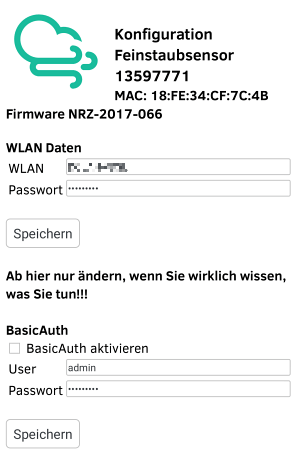 Sollte sich die Firmware nicht auf die NodeMCU spielen lassen, muss man nicht noch einmal alles neu zusammenstecken. Und es verringert die Gefahr, das sich beim An- und Abstecken des USB-Kabels andere Verbindungen umbemerkt lösen. 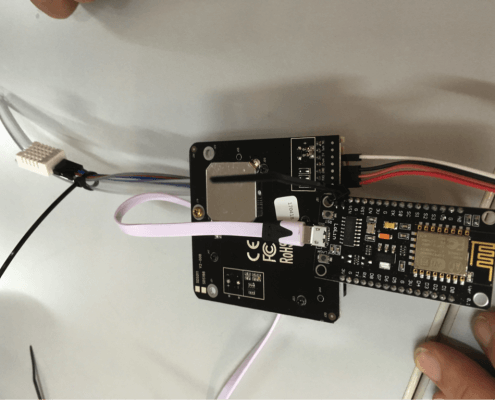 Note: Our instructions refer to version 3 of the NodeMCU. This can be recognized by the connections VU and G (see drawing). The versions have RSV at these ports. In these versions, the VIN ports can be used instead of VU and GND instead of G next to the MicroUSB port. Pins are numbered from RIGHT to LEFT, make sure when connecting that the cables are sitting on the pins, as most Dupont cables also fit inbetween the pins. Pins are numbered from LEFT to RIGHT. 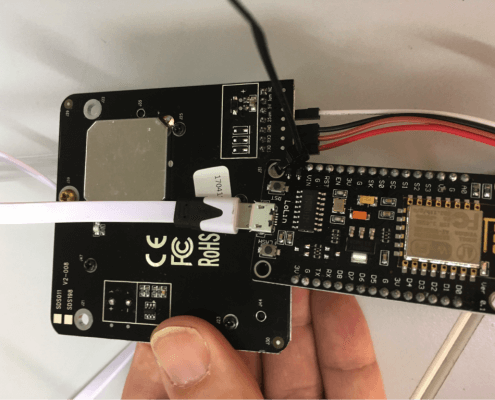 The particulate matter sensor SDS011 and the temperature and humidity sensor DHT22 are connected with cables to the chip (NodeMCU). 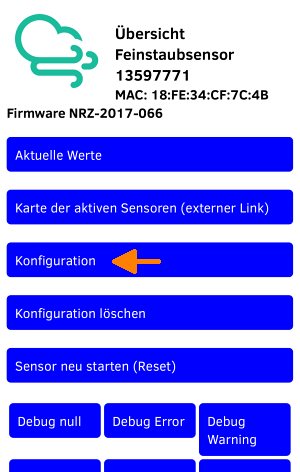 In the FAQ, under ‘Connecting other sensors’, there is a list of supported sensors (such as BME280) and displays. It is also described how to connected those. 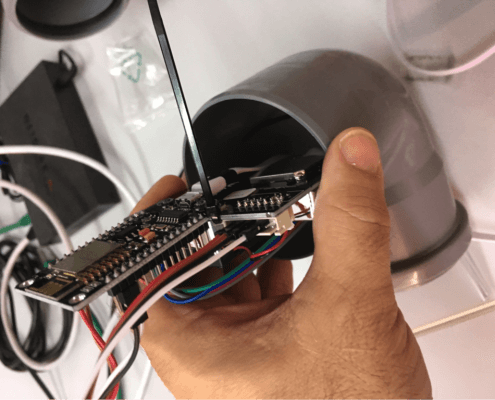 Tie NodeMCU (ESP8266) and SDS011 fine dust sensor together with a cable tie. Point the Wifi antenna away from the sensor (see picture). 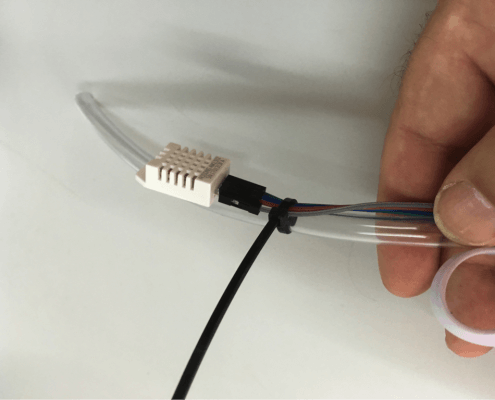 Tie the temperature sensor DHT22 to the tube with another cable tie. 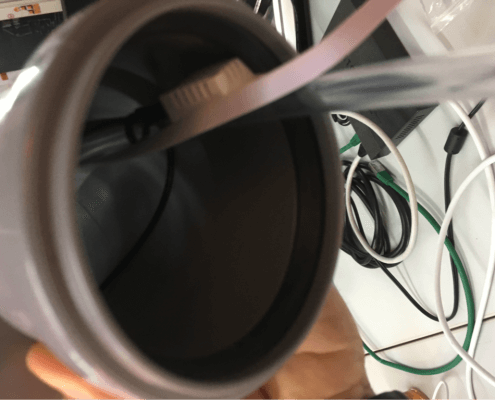 Pull the USB cable through the pipe. Install the SDS011 particutal matter board. The fan is pointing down. 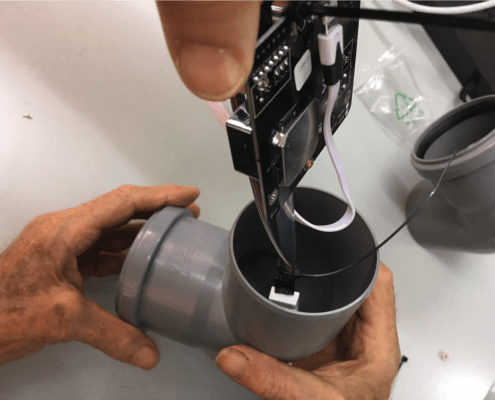 Push parts into the pipe, so that the sensor fixates in the pipe. Tube and USB cable should be looking out of the pipe. Connect the second Pipe. Make sure that no cables are pinched. 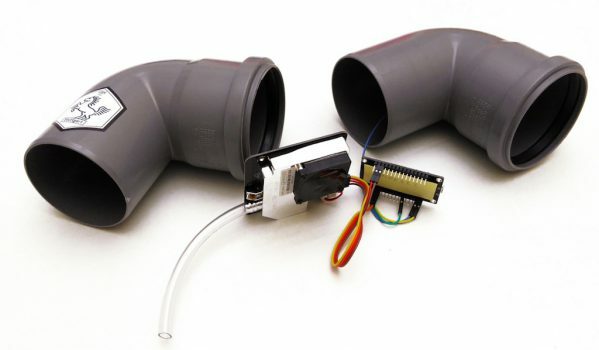 Position the temperature sensor at the end, so it still sits inside the pipe. Close the open ends of the pipes with a net or similar, so that the air can circulate but insects stay outside. Connect to this access point. Wait a moment until the connection is made. Sometimes it take multiple attempts. Open your browser and type in http://192.168.4.1/. You see the menu site, choose “Configure”. If everything is setup correctly, after about 10 minutes visit following sites. Search for your ChipID (in the example above the 13597771). You can now add your sensor by yourself at http://my.luftdaten.info/ . 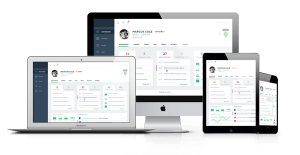 Go to this side, sign up for a user account and then add your sensor. If this won’t work you can continue to use the form below. your email address. Will not be published, just if we need to contact you. Check the tutorials and the Frequently Asked Questions (FAQ). Almost done! Soon you can measure fine dust.